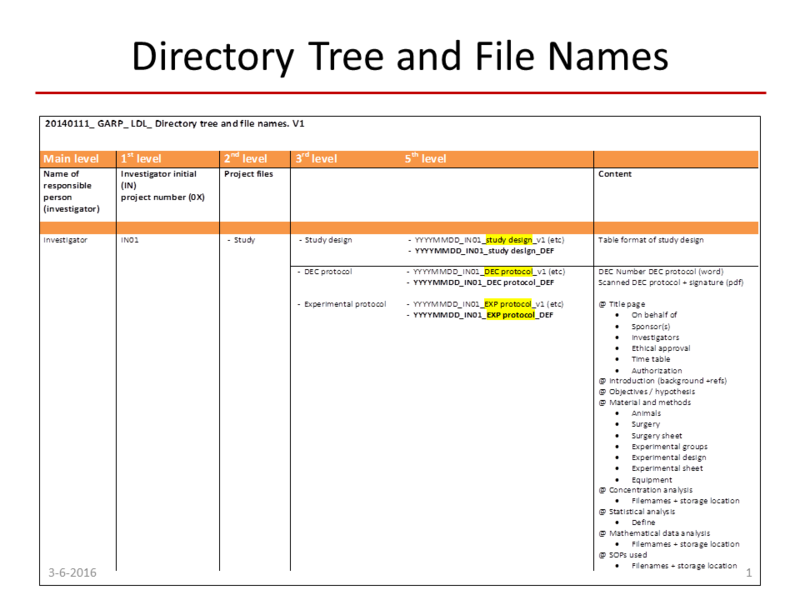 If you want to make your documents findable, you have to think about the file name and folder structure. As a PhD-student Liesbeth de Lange of the LACDR developed a system of conventions she still profits from today. These conventions are now a central part of her departments ‘good academic research practice’. Good data storage and management is an important aspect of GARP. 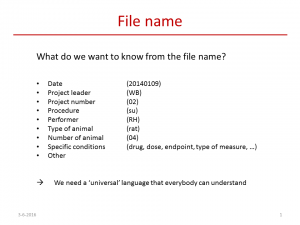 Good data storage means that every file name has to be unique, describes its contents concisely and has to contain the date and person responsible for the experiment. 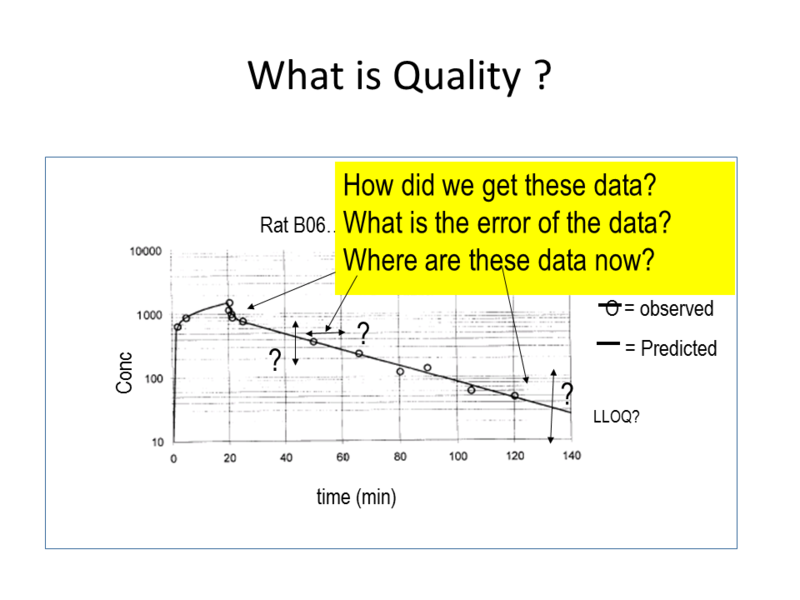 That way we can easily see that the concentration profile of a medicine was measured in a rat and in a specific location in its body. De Lange: “The effect of a medicine is correlated to its concentration at the site of action. That concentration can strongly vary between the heart and the brain, partly because there is a blood-brain-barrier that prevents the medicine from reaching the brain. Old data sometimes misses such information on the location of the measurement, so in that case it takes a lot of time to find out what was actually measured.” To make the folder and file parameter and storage location as uniform as possible, the group compiled a thesaurus, a list with defined abbreviations that the researchers may use in their file names. 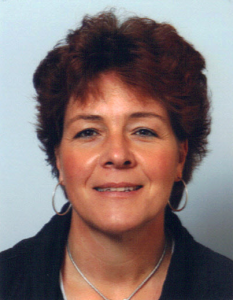 Since she started working as a PhD student in 1990 at Leiden University, De Lange has been able to reach back around twenty times to old internal data for re-use. This was partially possible because of the structure GARP brought. By re-using data she not only saved costs, but she also prevented additional animal tests. To help other researchers get the most out of their data, she likes to share the success story of GARP. When and why did GARP evolve? “The Good Academic Research Practice is a consequence of our partnerships with the pharmaceutical industry in the late nineties, where they were already working according to the Good Clinical and Good Manufacturing Practice. At that time the Division of Pharmacology, professor Meindert Danhof and Oscar della Pasqua were about to start a collaboration with GSK (GlaxoSmithKline). GSK required that the data were produced according to GARP. With that requirement in mind, Della Pasqua had a look at all data filing within our department. Did this model meet with a lot of resistance? 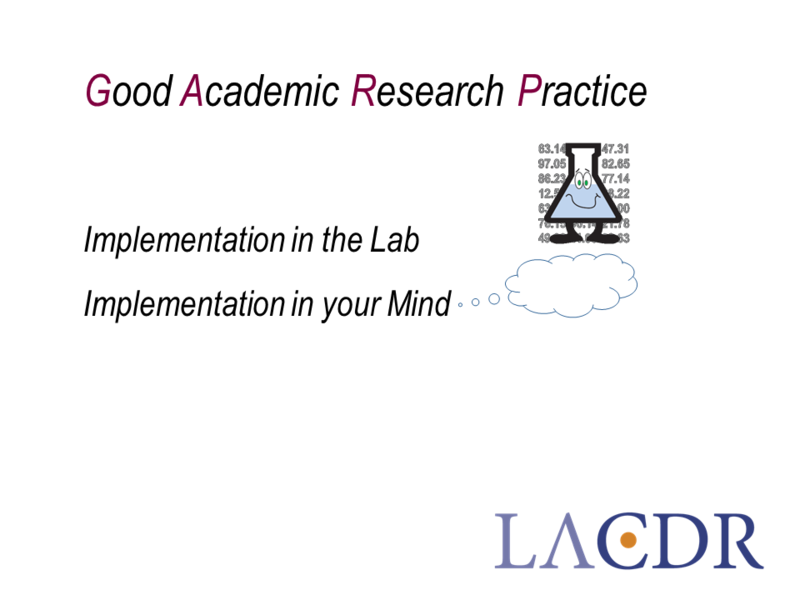 How do you ensure your researchers work conforms with GARP? “In our Division everyone gets a GARP training, even master and bachelor students who work on a research project in our group. I think it is very important to start learning about data management early on in the education, preferably in the first year at university. Apart from the training we have a manager to oversee our data: Dirk-Jan van den Berg. I, myself, also look at it in a random way. And whenever someone sends me a file that is not GARP compliant, I will not comment on it before it has been adjusted. It takes, and will always take, quite a bit of effort and time to keep GARP up and running. “It has its benefits. Take for example an Excel-sheet. How many ways are there to fill them out? What will you call the file, will you use multiple worksheets and what name will you give those sheets, will you include an explanation of the experiment in the first tab? Will any type of research fit the GARP model? “Our research usually consists of a wet part, the experimentation, and a dry part, the creation of computer models based upon the experimental data. It is easier for the wet part to adhere to GARP: you weigh something, do a calibration, repeat an experiment; it can all be described. In practice, it is much harder to make the development of computer models compliant. They are meant to fit as closely to the data as possible. If they do not fit the data, you try another model. This might look like an eyeball analysis, but even here we make objective choices on the basis of model quality parameters. 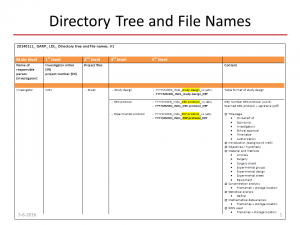 The file name should describe the model structure, give objective information on the model quality and reflect on the choices why a model was chosen or rejected. It usually goes wrong in the phase where this last description has to be given. I keep pointing out this information is essential, even though our modelers regularly forget to add it. What did GARP give you in return? 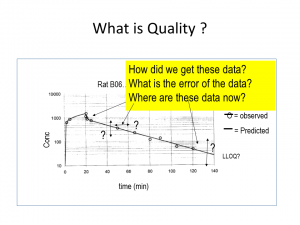 Do you keep sharing data in mind when experimenting? What last piece of advice would you give to our readers? 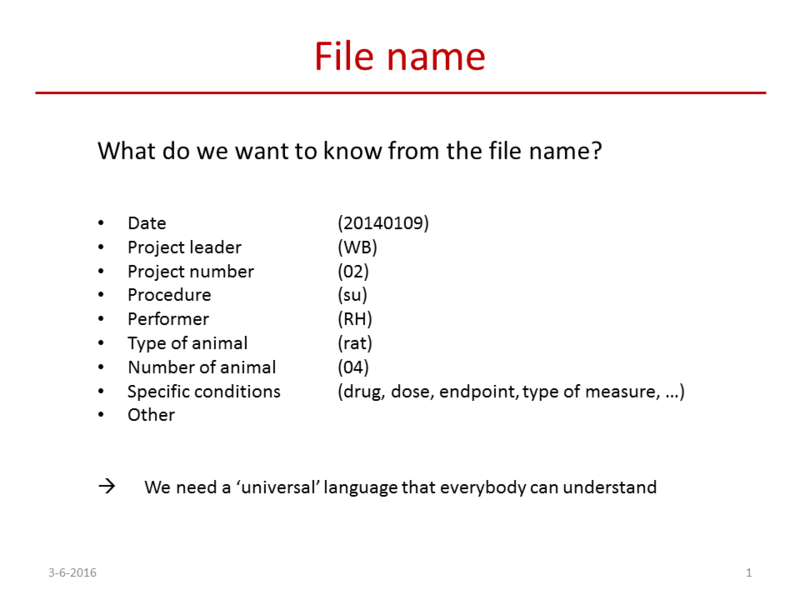 This entry was posted in Best practices, Documentation, Training and tagged File names ; folder structure by researchdata. Bookmark the permalink.